If your kids are anything like mine they will have been eyeing up the Easter eggs since they started hitting shelves a few months ago! My two have changed their mind multiple times since then about which eggs they are hoping the Easter bunny might bring and I can't say I blame them! With so many delicious eggs on offer this year its hard to choose which ones you want isn't it? 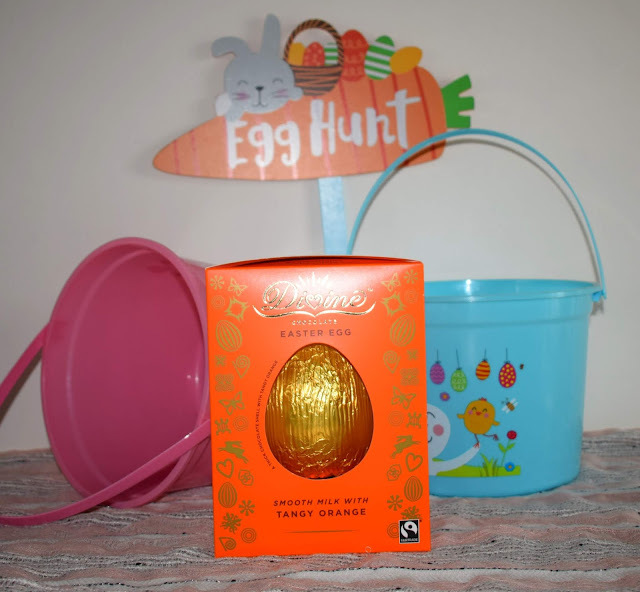 So I have compiled a list of some of the most delicious, fun and quirky eggs both me and the kids have spotted so far this year! 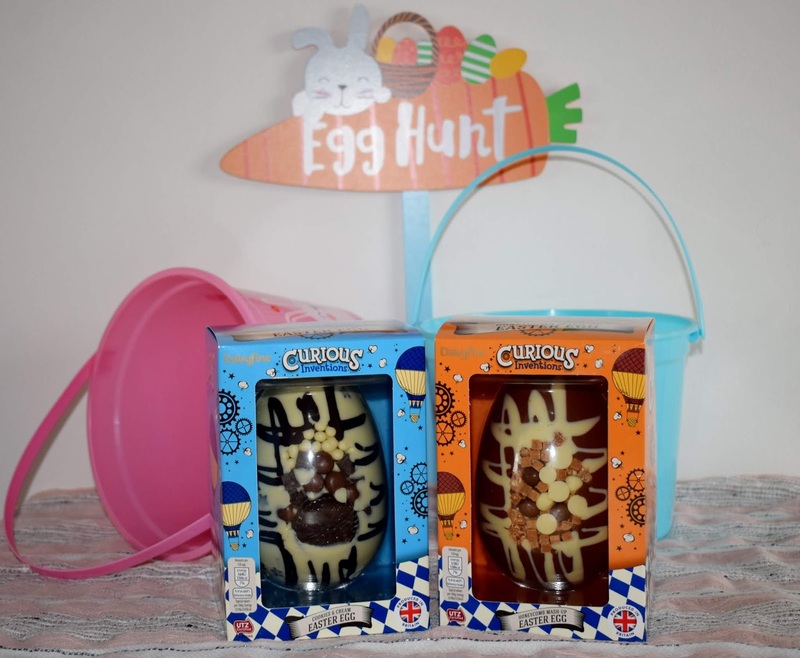 Kids will love these curious inventions eggs from Aldi, not only do they get a large hollow chocolate egg, each egg is also studded with various sweets and chocolates depending on the flavour! The two shown above are Cookies and Cream (blue box) and Honeycomb mash up (orange box). The cookies and cream egg is a white chocolate hollow egg with the front of the egg coated in crunchy biscuit pieces, chocolate covered biscuit and chocolate balls. The honeycomb mash up egg is a milk chocolate hollow egg studded with honeycomb, fudge and chocolate pieces at the front. Both eggs are a generous size with a generous helping of extras at the front. These eggs are also available in popping candy and salted caramel sundae flavours too. Unicorns seem to have taken over recently and so its no surprise that there are plenty of unicorn themed Easter eggs this year. However the super cute Moonbeam Unicorn from Marks and Spencer has to be one of the cutest! The eggs itself is a hollow white chocolate egg complete with pink blush cheeks and horn and finished with some fluttering black eyelashes. But Moonbeam isn't alone! She has a friend... Angus the Bull! Angus is a hollow milk chocolate egg with hand finished details including white chocolate horns, nose ring and big pink nose. 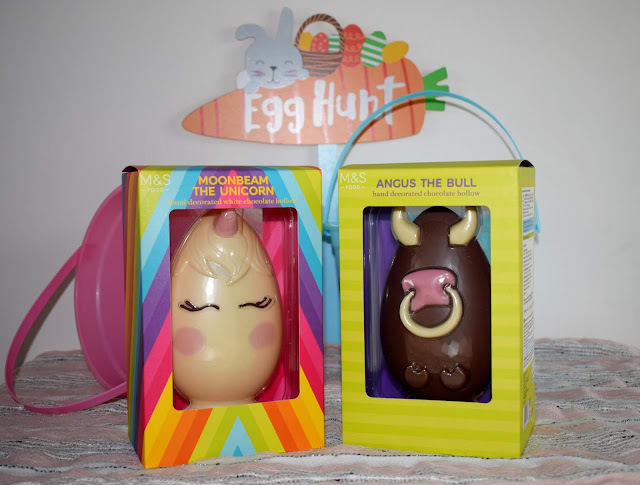 Both of these eggs are super cute and sure to be a hit with kids this Easter, not only for the cute designs but the delicious classic flavours too. It may not have any cute designs or fancy packaging but this tangy, creamy gold foiled egg from Divine certainly packs a punch when it comes to flavour and ethics! This Easter egg is made with Divine’s signature smooth and buttery milk chocolate, infused with aromatic and tangy orange oil. It is definitely one for slightly older children (or younger if they are fans of the orange flavour) and the taste is absolutely amazing. They don't get much cuter than this Easter bunny from Waitrose. The hollow milk chocolate bunny has a sweet face and tall alert ears, with designs etched in the chocolate over the whole bunny. It also comes with four caramel filled milk chocolate chicks and bunnies. My daughter spotted this one on the shelves in our local store a few weeks back and absolutely loved it. Its a very cute design and as the bunny isn't as large as some of the other Easter eggs you can buy its perfect for smaller children too. The added caramel filled chocolates are a lovely added touch too for an extra treat. 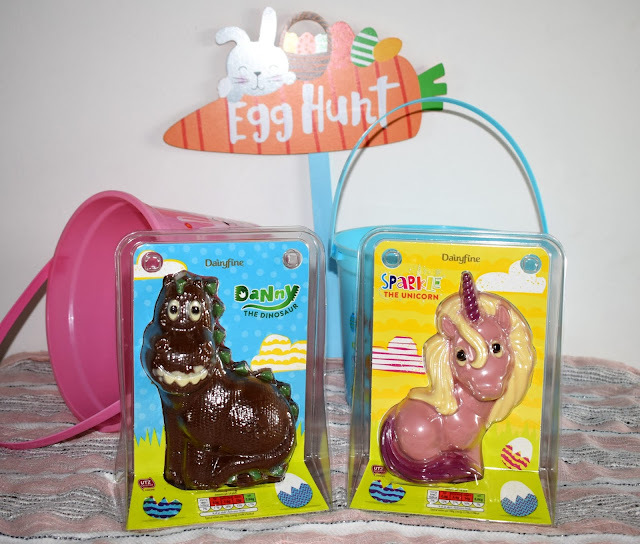 If its something a bit different you are looking for this Easter then these novelty shaped eggs from Aldi and the Dairyfine range definitely tick the boxes. They come in two designs, Danny the dinosaur and Sparkle the unicorn. Danny the dinosaur is a hollow milk chocolate dinosaur shape complete with big eyes, a pearly white grinning smile and green edible spikes down his back. Sparkle the unicorn is a pink coloured white chocolate hollow unicorn shape, complete with a swishy tail and main, pink unicorn horn and doting eyes. The detail in these hollow eggs is absolutely fantastic and they would make a perfect magical Easter gifts for kids this Easter. 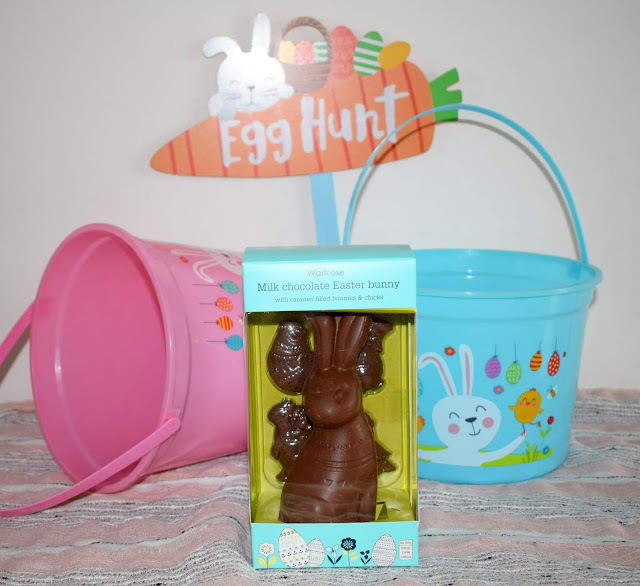 Evelyn actually spotted these hollow milk chocolate bunny's in Aldi a few weeks when she shrieked with delight that she had found a bunny like her, one that wears glasses! 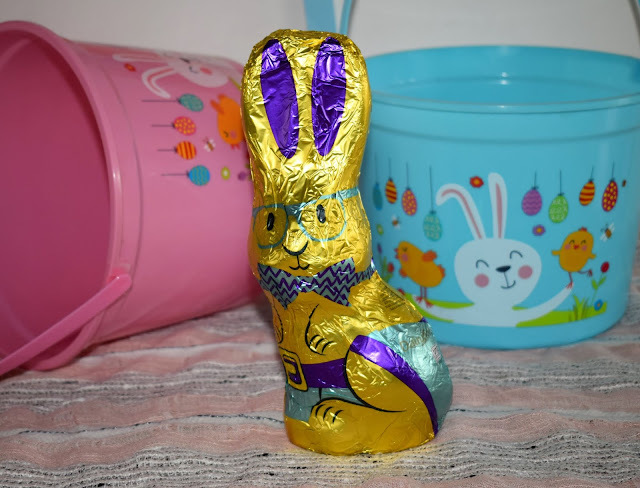 These super cute foil wrapped hollow milk chocolate bunny rabbits are a really decent size and are under £1 to buy! The perfect Easter treat without breaking the bank for sure. The fact they are completely foil wrapped makes them great for using in Easter egg hunts too for a grand prize! 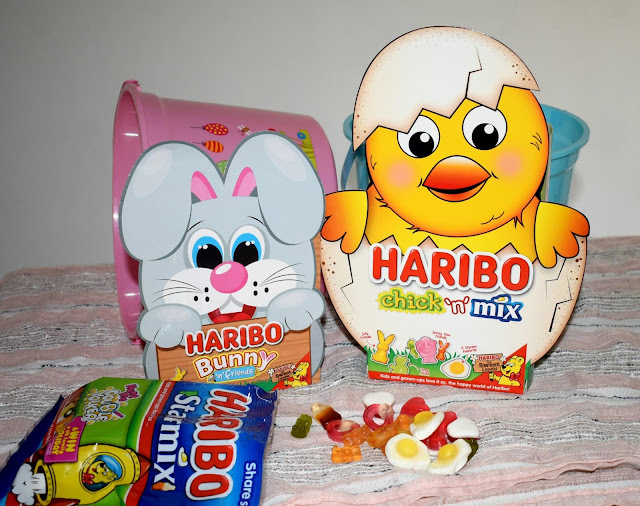 Haribo products including chick-n-mix and Bunny mix - RRP £Prices vary. Ok so I know not strictly an egg but this Easter Haribo have a great range out perfect for Easter and a great alternative for those not wanting to or who cannot eat chocolate. If that wasn't enough, this Easter Haribo are also running a fantastic giveaway giving you the chance to win an amazing UK family holiday if you find a double yolker egg in your pack! The promotional packs are clearly shown on the outside of the pack and you just need to find a fried egg with a double yolk to win. If you are looking for something a little special for Easter then the Haribo Easter packs look fab with their special Easter design packaging. You can choose from Chick-n-Mix or Bunny and Friends both of which come with some very cute bunny and Easter themed Haribo shapes. If you are looking for a slightly smaller chocolate gift this year, perhaps for a young child, friend or even to accompany a gift, these cheeky chick hollow characters are fantastic. 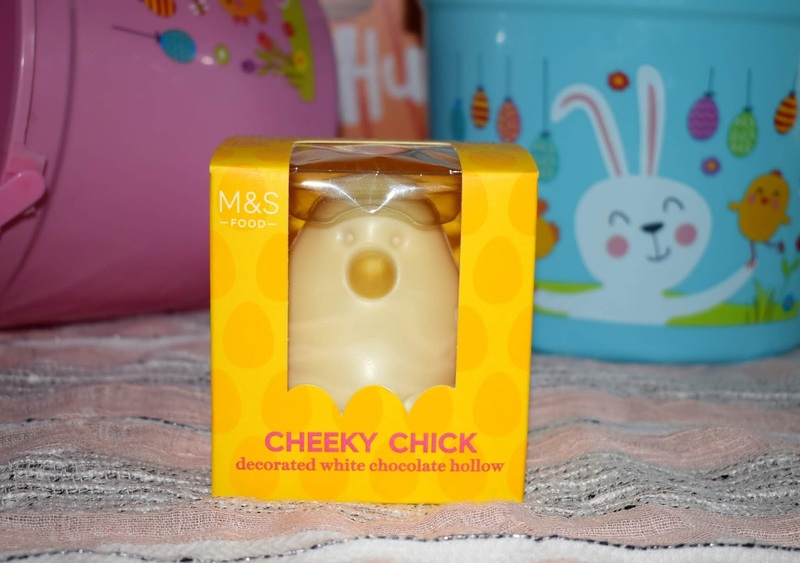 The Cheeky chick is a hollow smooth and creamy white chocolate chick shape complete with little yellow beak, he is almost too cute to eat but I think the kids would manage! Do you or your kids have there eye on a certain Easter egg this year? 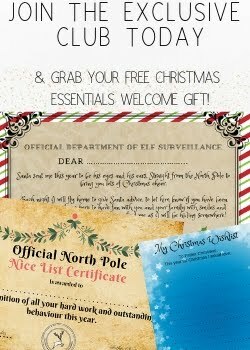 Or do any of the above take your fancy? Easter eggs are so incredibly creative these days! That pink unicorn is adorable! 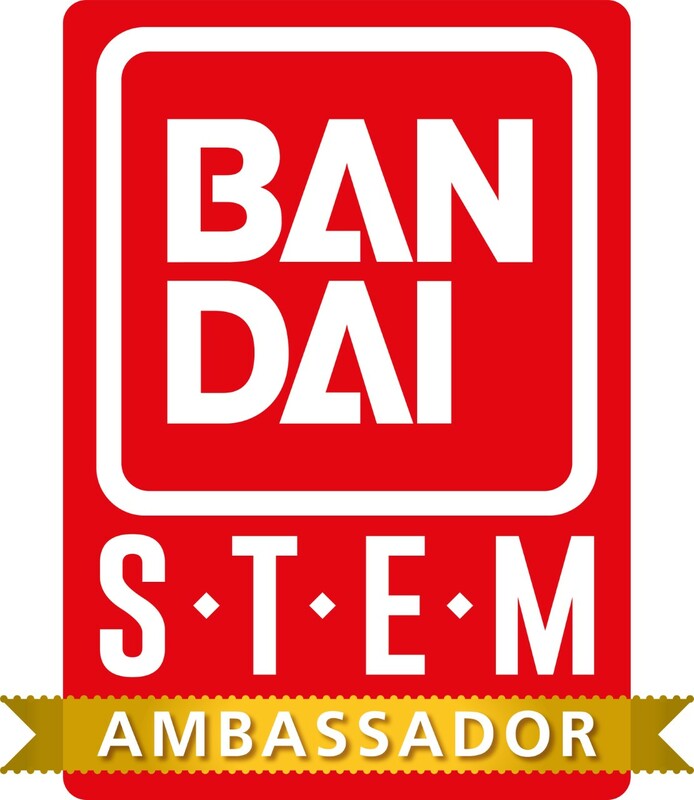 Thank you for posting this! We were meant to get some bunnies in our shopping but they replaced 3 bunnies with one egg so it got rejected! I may pop in to Aldi to make sure I pick up some of the bunnies there - they look Ace!